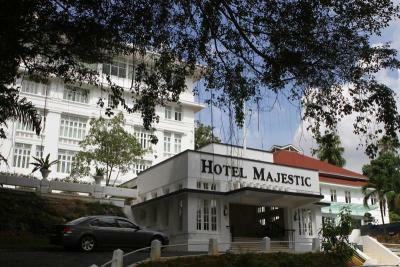 The Majestic Hotel – YTL Hotels & Properties Sdn Bhd’s latest addition. The old wing has been refurbished and a new wing added. EVERY day is a good day. But today, Dec 8, is an extra special day for the Lims, formerly owners of Hotel Majestic, and the Yeohs of the YTL group. To a greater extent, it is also a special day for Victoria Institution (VI), Kuala Lumpur former students. The paths of the Lim and Yeoh families crossed at the Hotel Majestic in Jalan Sultan Hishamuddin, Kuala Lumpur. That hotel will be officially reopened for business today, after a long span of 28 years. Lim Heng Suan is the son of the former managing director of the hotel, Lim Thye Hee, a VI old boy. Heng Suan's late father used to run the family hotel business and before him, his father. The Lims were the owners of the hotel which started with 51 rooms as Kuala Lumpur's premier hotel. It was built by the late Datuk Loke Wan Tho (1915-1964), a film magnate, in 1932. Loke was the ninth of 11 children of Loke Yew (1845-1917), a Chinese-born business magnate who made good in Kuala Lumpur. Loke Yew was one of the founders of VI and a prominent member of the Chinese community. Wan Tho himself was educated at VI. The hotel also played an important part in the lives of former students as the Victoria Institution Old Boys' Association used to hold its annual dinner and dance on the rooftop balcony of the Majestic Hotel. Today's party will be of a different sort. It will officially introduce the new owners, YTL Hotels and Properties Sdn Bhd and the Yeoh family. It will also be a walk down memory lane for those who worked, lived and partied there during its heydays, particularly the Lims. 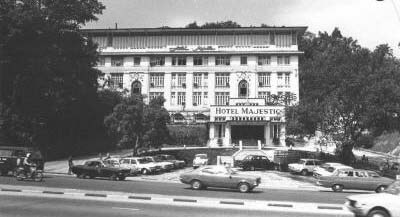 An image from the National Archives showing the Hotel Majestic Kuala Lumpur in January 1977. The old Majestic Hotel is a precious relic of Malaysian history that was built in 1935, and is now being refurbished into a heritage hotel by YTL Group after being left vacant for many years. The hotel was closed in 1984 in order to house the National Art Gallery. The move was not without resistance, however, as many did not agree to the hotel making way for an art gallery. In 1995, the Government, Syarikat Tanah dan Harta Sdn Bhd (a Finance Ministry Inc company) and YTL Corp Bhd signed an agreement to privatise the National Art Gallery building project. The YTL group built and completed the new art gallery, which is located in Jalan Termeloh, off Jalan Tun Razak, Kuala Lumpur in 1998 in exchange for Hotel Majestic, which was gazetted as a heritage building. But it was not until 2008 that the group received approval to refurbish and develop the hotel. That hotel is the nation's pride and an important remnant of the country's colonial heritage. There are reports that the new hotel was an investment of about RM250mil but Yeoh is reluctant to put any figure to it. There is much history and nostalgia in that part of town for those who grew up in Kuala Lumpur. The Majestic Wing, which has about 50 rooms, fronts the KTM railway station, and is among Kuala Lumpur's most famous buildings. That structure, described as Neo-Moorish/Mughal or Persian style, was designed by British architect Arthur Benison Hubback (1871-1948), who was also a brigadier-general in WWI. He designed the Rail Way Administrative Building, Masjid Jamek, Carcosa Seri Negara, which at one time, was a 13-room hotel located in the Lake Gardens, now known as Taman Tasik Perdana, and the extension of the Royal Selangor Club of Kuala Lumpur. Hubback also designed other buildings in Ipoh and Seremban. While the Majestic Wing faces the KTM station, the YTL group has added a new wing, known as the Tower Wing fronting the Sulaiman Building, an Art Deco treasure from the 1930s. It formerly housed the Syariah Courts. That is another structure that is robust with character with its thick walls and arches. These buildings, together with the Sultan Abdul Samad Building, which is a bit further away and which fronts Dataran Merdaka, add to the rich tapestry of Hotel Majestic. 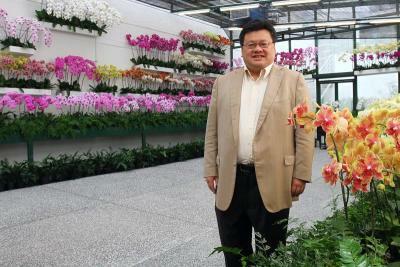 Mark Yeoh in the orchid conservatory of Majestic Hotel. As the city grew, the nucleus eventually moved to the Kuala Lumpur City Centre (KLCC) area and the iconic Petronas Twin Towers, but this older part of Kuala Lumpur continues to hold its own. Other hotels in the listing are The Ritz London, The Pierre in New York City, Hotel le Bristol in Paris, and Villa d'Este in Lake Como, Italy. A third structure, known as The Smokehouse, has been added for smokers along with an orchid conservatory known as The Orchid Room which showcases a variety of species. Much of the structure in the main wing has been retained, included the dome in The Colonial Cafe. Up to RM1mil worth of business, particularly for wedding receptions and dinners, has been booked until next March. On the group's hospitality business, Yeoh says the company plans to add more hotels to its stable. Besides Hotel Majestic, the group's other latest hospitality acquisitions include three Marriott in Australia, and a hotel in Bath, UK. It also launched Gaya Island Resort in Sabah recently. Yeoh's first hotel was Pangkor Laut Resort, probably one of Pangkor Island's most luxurious and world renowed resorts today. It did not have this accolade when he first took over. On the group's successful hospitality business, he says: “I may seem to be ahead of the game today but that is because I made more mistakes than the others. “The hotel business is a brutal business. And I am grateful that after 10-20 years, my management has remained with me. That is my biggest joy. It is easy to bring in the hardware. It is the software, the people who greet and look after guests, which makes the difference. They are the frontliners. Imagine an inverted triangle. I am at the bottom,” says Yeoh.